Comprehensive service and support from the leader in inflight connectivity. With more than 20 years of experience, we know what it takes to bring aircraft online and keep them connected. That’s why all of our solutions are powered by our redundant global network and backed by our comprehensive support services. From approvals & certifications, to installation, to proactive maintenance, we’ll work with your airline to ensure the smoothest, most reliable performance. 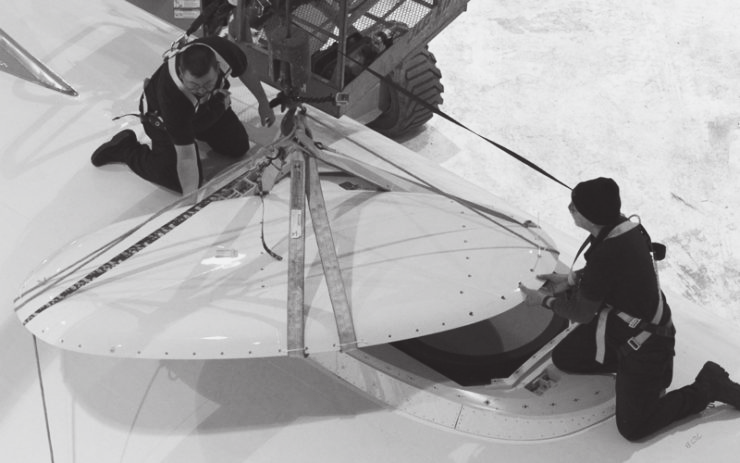 A close-up look at the installation of a Gogo® 2Ku system. When it comes to installation, Gogo can handle as much or as little of the process as you prefer. Our dedicated technical crews can manage your airline’s equipment and system installations, minimizing aircraft downtime across your fleet. Additionally, our linefit programs with Boeing and Airbus are moving forward, which means future new aircraft can be equipped with our technology upon delivery. We can help you certify Gogo’s system hardware from telecommunications agencies in countries where an airline’s aircraft are registered or based to ensure ability to ensure RF regulatory compliance. With regulatory approvals for more than 200 countries and more Supplemental Type Certificates (STCs) than any other connectivity provider, Gogo can help you obtain, license for re-use, or amend a Supplemental Type Certificate for Gogo Inflight Systems usage. Gogo can support your installation several ways with tools, training, onsite install, and engineering services. Gogo provides multiple tools that streamline installation such as the ability to provision, receive and update to the latest approved software and understand trend data for your connectivity enabled fleet. Gogo can also help train and certify your airline or third-party installers on Gogo system installation. For complex installs, prototypes and custom IFEC integrations, Gogo can also provide on-site assistance. Gogo can provide maintenance tools for you to sustain your Gogo-equipped fleet - including our 2ku diagnostic tool and file sharing portal. We can also train/certify your airline technical operations and third-party partners on Gogo system maintenance and provide a diagnostic tooling kit. 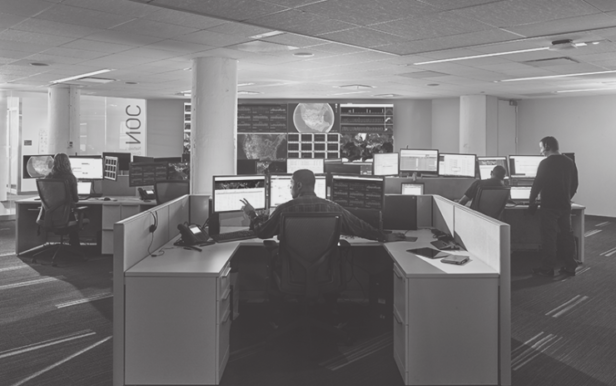 Gogo’s Aircraft Maintenance Control Center (AMCC) aids with troubleshooting, diagnostic support, and maintenance upkeep. Total network management—including capacity and supply oversight—ensures high quality connectivity for every flight. Our inflight network is managed by a sophisticated system of security and troubleshooting elements, including security software and procedures, real-time monitoring through our Network Operations Center, and data redundancies – all to ensure network reliability and operational superiority. With Gogo, your passengers are in good hands. 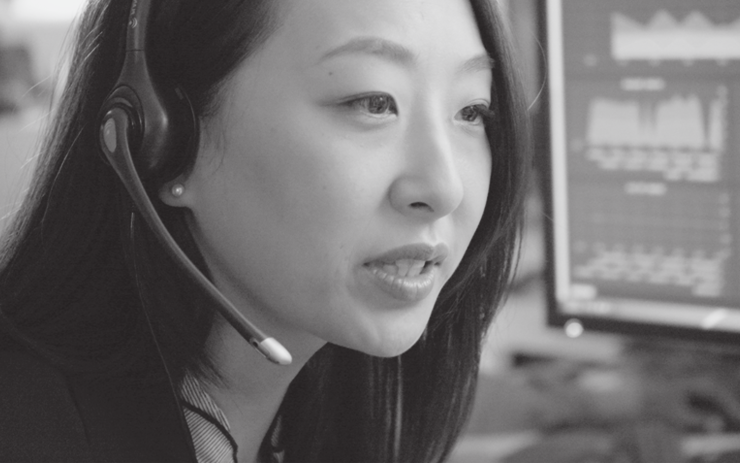 Our multilingual Customer Care team provides around-the-clock customer service via live chat, phone, and email to ensure a positive connectivity experience for your passengers around the world. A wide array of marketing and partnership services are available to support our airline partners. Our experienced teams work collaboratively with you to develop and execute marketing plans that support product and service launches, and help you succeed in other growth initiatives to meet your commercial goals. Gogo is ready to educate your crew on how the system works, and how to troubleshoot inflight. Training for flight attendants, gate representatives, and customer service covers inflight experience, connecting inflight, and interaction on issues. More knowledgable crews mean happier passengers. We help airlines drive passenger engagement and brand awareness through creative support, proven promotional strategies and campaign management tailored to meet your goals. Gogo marketing teams work to drive long-term benefits for airlines and your passengers.